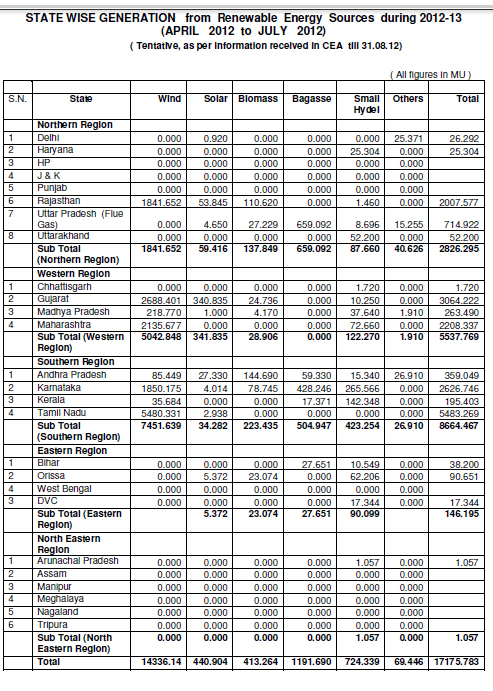 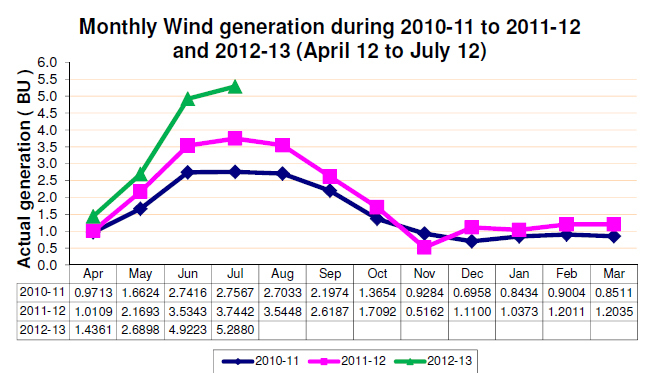 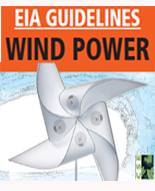 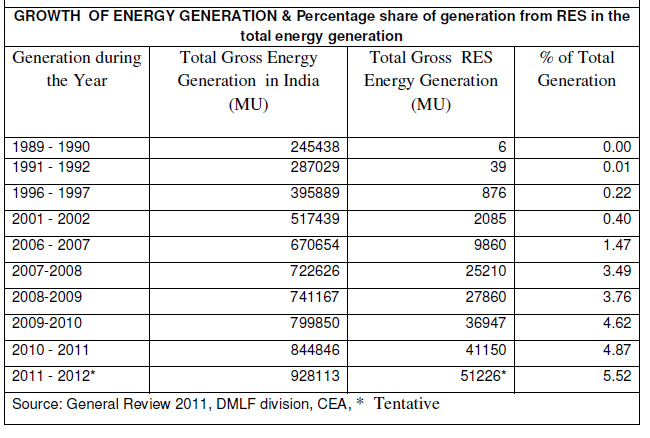 As on 31st March, 1990 Renewable Energy Sources (RES) capacity was 18 MW and generation during the year 1989-90 was 6 MU. 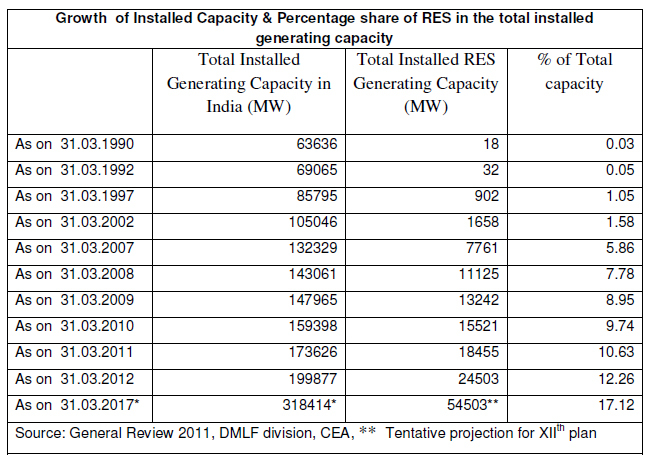 Initially the annual capacity addition was very slow, but from 2008 onwards the contribution from RES is considerable. 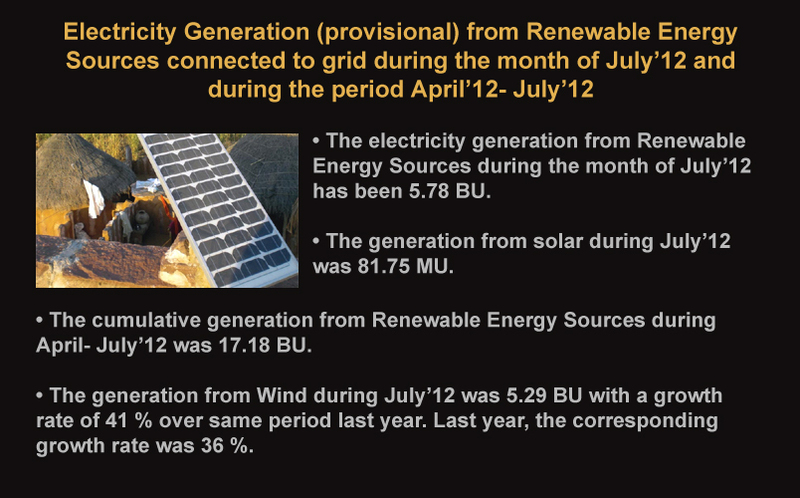 As on 31st March, 2012 the RES capacity was 24503.45 MW and generation during the year 2011-12 is expected to be 51226 MU (provisional).